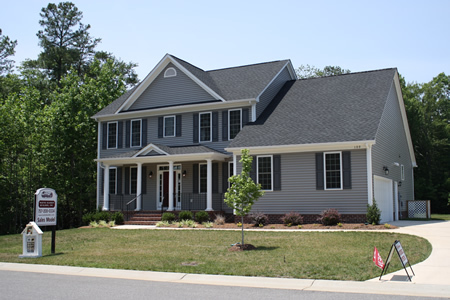 York County real estate developments give homebuyers some great, new homes to consider buying. Don't let go of the past: embrace it! Buying a modern home allows buyers all the conveniences of the 21st century but puts them near historical sites of times long gone. Those wanting a low-maintenance home may consider homes at Riverwalk Townes. Families looking for room to grow can check out single-family houses in Oak Ridge, Running Man, Summer's Crossing and The Oaks at Fenton Mill. York County real estate developers have not forgotten homebuyers ages 62 and better: Villas at Yorktown is the perfect place for leading an active lifestyle. New construction styles in this area vary but the charming atmosphere is a constant. York County is on the eastern side of the Commonwealth of Virginia and on the northern side of the Virginia Peninsula. This region lies within the wider section of the Hampton Roads metropolitan area. York County borders Williamsburg, Poquoson, Newport News, James City County and Gloucester County. York County, founded in 1634, is one of the oldest counties in the nation. Yorktown is the county seat of York County and it sits right on the scenic Virginia River. Yorktown is small in terms of population but historically speaking, this city is extremely important. Yorktown is probably best known for being one of the most important cities in the American Revolutionary War. General Cornwallis surrendered to General George Washington here in Yorktown, Va. Yorktown is also known for its importance in the American Civil War where ports provided supply lines to troops. Yorktown makes up one of the three corners of America's Historic Triangle along with the cities of Williamsburg and Jamestown. 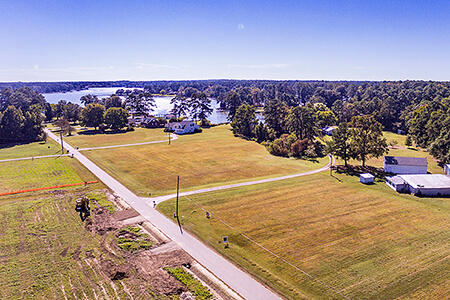 York County waterfront homes for sale and recreational areas are indicative of this part of the state. Find a home on York River and enjoy real estate with a view. You'll have a home close to Busch Gardens, Water Country USA and other prime locations. Select a city above to view the new home communities available in that city.